Earn up to 400 reward points. A real ash hardwood guitar stand for wide or narrow-bodied guitars. If you're looking for a unique way to display your wide or narrow-body guitar on stage, at home, or in the studio, this Guitar Hardwood Floor Stand, made of real ash hardwood is a real eye-catching solution. When not in use it folds flat for easy transport. 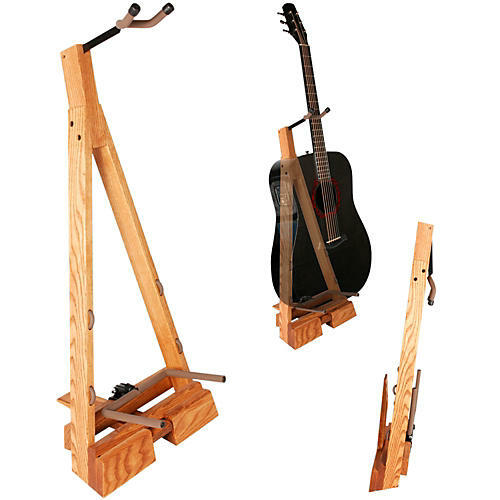 Depth of base holder: 6"
Depth of neck holder: 8.5"
Think outside the box with this awesome guitar stand. Order today!